With the Napoleonic War looming dangerously across the Channel, this is a time of suspicion and treachery. Following the clues from the seedy back streets of Covent Garden up through the echelons of society, Lavender and Woods begin to fear that the case is much bigger than they'd dared imagine - and worse, that they are at risk of becoming mere players in a master criminal's shadowy drama. It will take all of Lavender's skill and wit, and help from the beautiful Magdalena, to bring the mystery of the Sans Pareil Theatre to a dramatic conclusion in the final act. ©2015 Karen Charlton (P)2015 Brilliance Audio, Inc. This is my first Detective Lavender mystery. The prose is excellent, although the plot is more or less transparent. I have to take on faith what English society was like in the early 1800's, but the author apparently has immersed herself in the period. Lavender is persistent and thoughtful but sometimes unbelievably blind-eyed. The narrator added a lot to the reading, differentiating characters by tone and accent. He had more difficulty with female voices, but even so, did a good job. I prefer 20th century period pieces to the 19th century, so I'm not sure how soon I'll take up another Lavender mystery. A very enjoyable story - with good characters. I enjoyed the main characters in the first novel and it was good to follow the progress of their relationships. Good mystery plot and never dragged. Also enjoyed learning about medical field of the time! The book dwindled from a passable mystery to a drawn out bodice ripper. The narration is superior. Delightful and charming mystery novel! I had not listened to a Michael Page narrated audiobook in some time and forgot what a great talent he is. I'm in awe of his performance in narrating The Sans Pareil Mystery. The protagonist of this mystery novel is London UK Detective Stephen Lavender. It is set in the year 1810. It seems at first that an actress has been kidnapped and murdered. The autopsy shows that she died of congenital heart disease after being kidnapped. Then it turns out that the dead woman is not the actress but her identical twin sister that has died. The reason for the kidnapping and the culprits must still be determined. There are many fascinating characters and twists in The Sans Pareil Mystery. This complex novel is a fun read made even better by superb narration. 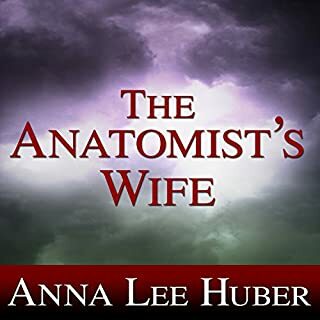 This audiobook is loaned to the listener at no extra cost to members of Kindle Unlimited. This is another great book in her Detective Lavender series. Lots of twists and turns and wonderful historical data as well. The narrator is most excellent! It’s amazing how he can change his voice so many times and so well! It makes the books very enjoyable to listen to! Keep up the good work! This is the second of the stories about Detective Stephen Lavender and Constable Woods, and I have enjoyed both thoroughly. The narrator does a perfect job making the story come alive. So many distinct voices. I love Karen Charlton. Her writing is so vivid and compelling. I totally enjoyed all her books on detective Lavender. Led by a street urchin, Detective Lavender, Constable Woods and his team arrive to a dilapidated, abandoned building where they hear the cries of a baby. Search as they may, they cannot locate the infant, but every time they are about to leave, the tot begins to wail again. Interestingly, Lavender is able to unravel the mystery. Yet a neighbor woman still insists there is a body in the building. The listener is taken back to early 1800s London, in this tale of death and intrigue, with excellent descriptions of time and place. The cobblestone streets, with horse drawn carriages, reeked of steaming freshly dropped dung, and whores hung out of windows hawking their wares. When the coppers, do indeed find a decomposing body of a beautiful young woman beneath the floor boards, Detective Lavender is on the move, determining just how she ended up there . . . and why. The story is set at the time of the Napoleonic Wars, and filled with Spanish refugees, both Spanish and French spies. The dead young woman turns out to be a much admired actress at the Sans Pareil Theatre, who was first kidnapped, before being placed in the abandoned building. 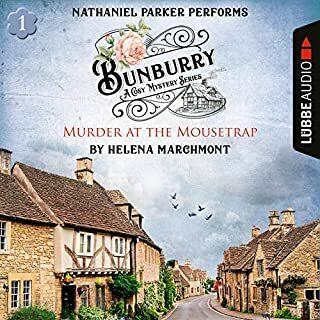 As Stephen Lavender and Ned Woods try to determine the motive behind the kidnapping, we get a glimpse into the world of the theatre, London’s high society and their view of others. One Spanish refugee, Dona Magdalena has caught Detective Lavender’s eye, much to the distain of his boss, Magistrate James Read, who repeatedly warns Lavender to distance himself from Magdalena. Involving himself with a Papist will ruin his career, according to Magistrate Read. Indeed, Catholics were not accepted in England in the 1800s. Happily, Stephen Lavender had a mind of his own. All in all, this is an excellent listen. I will be listening to more in the series. I love a good mystery --one that relies on character, not on gore. With The Same Pareil Mystery, the plot is engaging, the detective work fun to follow, and the characters matter very much. Honor, duty, valor leave you better off for reading this gem. And the ending makes you want to come back for more. The dramatic reading puts skin on the bones. I love all the accents. Beautiful and entertaining. 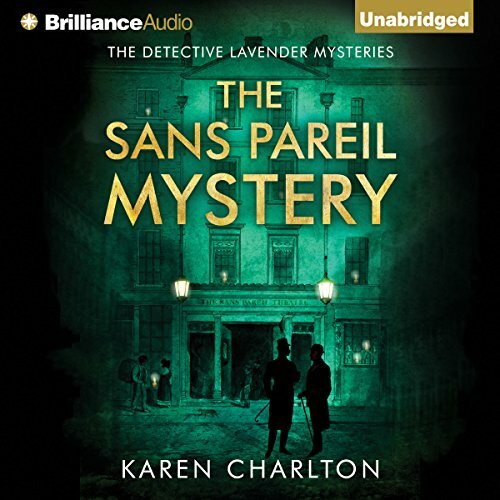 Where does The Sans Pareil Mystery rank among all the audiobooks you’ve listened to so far? I would rank this in my top ten. 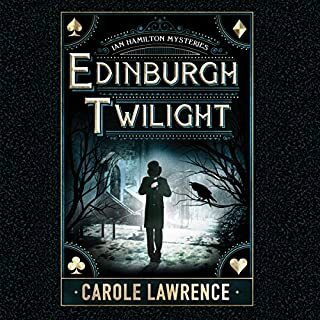 I enjoy murder mystery books with some relational depth to and between the characters, the combination of Karen Charlton's writing and imagination with Michael Page's excellent narration is a great find. I have a job that has more than enough tension and real life concerns, so it is therapeutic to get lost in a good book. What other book might you compare The Sans Pareil Mystery to, and why? There is a warmth and depth to the book, just enough edge and murder mystery, but warmth in the unfolding of the key characters. I would compare it to the Max Tudor series, different century, but the characters have a steady reflective no nonsense approach, but with a nod to their romantic and family lives. Gentle tension at times, and occasional laughter. Karen Charlton is an excellent writer, it is a great pleasure to find her books being read by some one as skillful as Michael Page. Interesting story of an early detective in Bow Street, Coventry Garden, a very different place than the touristy place it is today. The story evokes something of the dirt, poverty and harshness of life in England during the wars with Napoleon's forces. Lavender and Wood make a good detective duo and it will be interesting to see how these characters are developed in future stories. Another very good read. Anyone who likes detective stories that are not dark and depressiing would love the lavender books. These stories are very well put together and the characters are very real. This is the third book I've listened to in the inspector Lavender series and won't be the last. 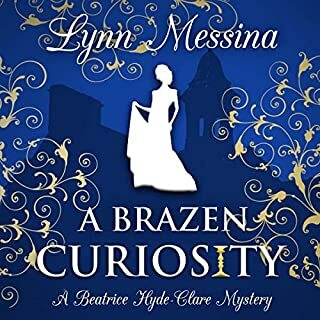 I enjoy the emphasis on developing the characters and, in this book, was engaged in a gripping story of French spy-rings at the time of the Napoleonic Wars. Lavender and his trusty sidekick Constable Woods are sympathetic characters around whose lives the stories are told. The narrator does a great job creating all the different accents and portraying convincing female voices. What makes these books by Karen so good are the characters and interesting plot.You really feel like you are there in that time and it's interesting from a historical point of view.The narrater is one of the best and brings out the humour in the book by his ability to be several different characters. One again a wonderful book, twists it's way through London's theater world and Spanish French spy ring. The reading is superb and the charters a e brought to life. Easy listening, believable, likeable main characters, good plot. Immersed myself in Georgian London. Well researched. Even better than the first one! Can not wait to listen to the nexted one. An enjoyable story with interesting characters based at the time of Bonaparte's rampage across Europe, the book gives a bit of insight of what it was like to live at that time. If you like mystery and history, you will probably enjoy this book. As usual, a good plot. I really enjoy The Detective Lavender Mysteries as the stories hold my interest right to the end. It's especially interesting to think the stories are based on a true life Inspector Lavender and his cases. My only negative point is that the harsh male voices the narrator uses are hard to listen to , otherwise it's very authentic. 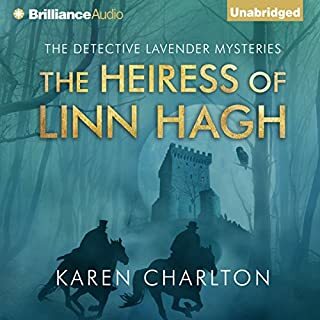 I enjoyed this second audiobook of the Detective Lavender and Constable Woods series. The two main characters are very likeable and it is a delight to listen to their interactions. We meet Woods' redoubtable wife, Betsy in this story and after only hearing about her previously from the point of view of her hulking, but henpecked husband, one would not have expected quote such a delightful character. We also learn more of the beautiful but secretive Spanish widow whom Stephen Lavender has fallen in love with. Michael Page's narration is, as ever, brilliant. I fell in love with his voice with his narration of the Max Tudor series. The story holds one's interest, even if there was more than one instance of being able to quests a plot point. Being a great reader of many a book set during Regency times, I was surprised that the author had women attending a burial. It is my firm understanding that this did not happen during the Regency and indeed, up to and including the Victorian Era. But regardless, this was a very worthwhile audio experience. I give the overall, 4 1/2 stars.